Showing 10 records. From 1 to 10 (from a total of 13). “Chisti Rosi” means pure morning dew. It is the first certified organic vodka hand-crafted in Russia. From seed to glass Chisti Rosi meets the EU organic standards. 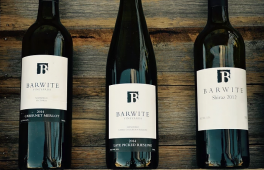 Set on 200 acres amongst the rolling hills of the cool-climate and rich soilds of Victoria's High Country, Barwite has established a reputation as a premium producer of beautiful and elegant wines we have become very proud of. The killer wine. U try - U Fell in Love. -- as Costco - Whole Foods, and many others did -- and U2 will -- just try it. -- Smartly Priced. Direct Import is an option. Going fast so get on the train while opportunity still here. 5613198694. 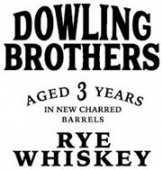 Dowling Brothers Rye Whiskey. A Kentucky Whiskey Treasure Brought Back to Life. 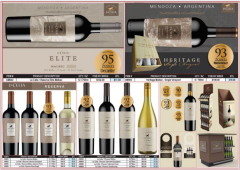 Ultra Premium Wines from one of the Hottest Wine making regions in Mendoza, Valle de Uco. Incredible press ratings and very limited production. 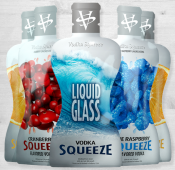 Vodka Squeeze (VS) 50ml Packets are very popular for Concerts, Camping Trips, Airline Travel, Poolside Parties and much more. VS is welcomed anywhere Glass products are not allowed and no cap so no projectile. 54% profit for Retailers at a minimum. Who can post a Brand? Beverage Producers seeking new Importers and distributors can post Brands. They are an easy-to-use, effective way to connect with new trading partners. Please note that you must be looking for distribution to post a Brand. Buyers who are looking to add more products in their portfolio will search Brands and may contact you. Brands are detailed offers to sell a product posted by beverage companies looking to expand their distribution network. Wineries, Breweries, Distilleries and Beverage Suppliers post Brands to find new importers, wholesalers and distributors and highlight their products. Industry Buyers browse Brands and connect with the ones that they believe will make their portfolio more competitive. How To Post a Brand? This service is available only to our registered members. Click here to post a Brand now. (Note: you must be looking for distributors for the product you post as Brand). On your dashboard, you will see edit icon under actions (on right). Looking To Promote Brands To Importers and Distributors? Looking For Wine Distributors, Beer Distributors, Liquor Distributors, Wine Importers? Brands and other tools allows you to be in front of trade that is looking for new products. Learn More On Promoting Brands. Select one or more search criteria to find Brands. Or… Search by description keyword. Post your buying lead here. Looking for all types of Genuine Sherry. Interested also in Sherry grapes such as Moscatel or Palomino. Must be available as bulk. We are looking for Malbec wines from Argentina, Red Table wines from Spain, Cabernet wines from California, and Pino Noir wines from Oregon. We are distributors based in USA and looking to buy Cocobon wine. Treasury Wine Estate (TWE) has reported and strong first half result with reported net profit after tax up 37 percent to $187.2m, with growth across all regions. Japanese drinks giant Suntory is targeting Londonâ€™s bartenders in a bid to increase sales of its premium whisky in the capital. Luxembourg is expected to become the next country to legalise recreational cannabis – which would make it the first country in the EU to pass such a motion. Coca-Cola said on Friday that personal information on as many as 74,000 employees, contractors and suppliers were on laptops that it said were temporarily stolen from its Atlanta headquarters. Help your buyer, make their job easier, and it’s very likely that they will return the favor by becoming steady accounts for you. If you are among the hundreds of small-to-medium sized wine companies that are struggling to achieve your sales and distribution goals, taking a hard look at the structure of your sales team might be just the ticket here at the onset of the new year. To successfully fight big brands, sales reps need to roll up their sleeves and think of their accounts the same way exceptional hospitality people regard their guests.